Robert Ransome opened an ironmongery shop in Norwich in 1774 which developed into one of only two Iron foundries in East Anglia at the time. By 1784 he was operating under the name Ransomes and Co. and five years later his fledgling business moved to Ipswich with a capital of £200 (just over £11,000 in today’s money) and one employee. The turning point for the business, and for farming, was the self-sharpening chilled cast iron plough share, allegedly discovered by accident when hot iron fell onto a cold surface at the foundry. A plough share made in this way sharpened itself whilst ploughing, saving farmers time and money as the shares no longer needed to regularly be sharpened by a blacksmith. Robert Ransome patented his discovery in 1803 followed by a patent for the standardisation of plough parts in 1808 so they could be bought off the shelf instead of being specially made by a blacksmith. These developments revolutionised farming and led to the creation of one of England’s best known agricultural engineers, Ransomes. 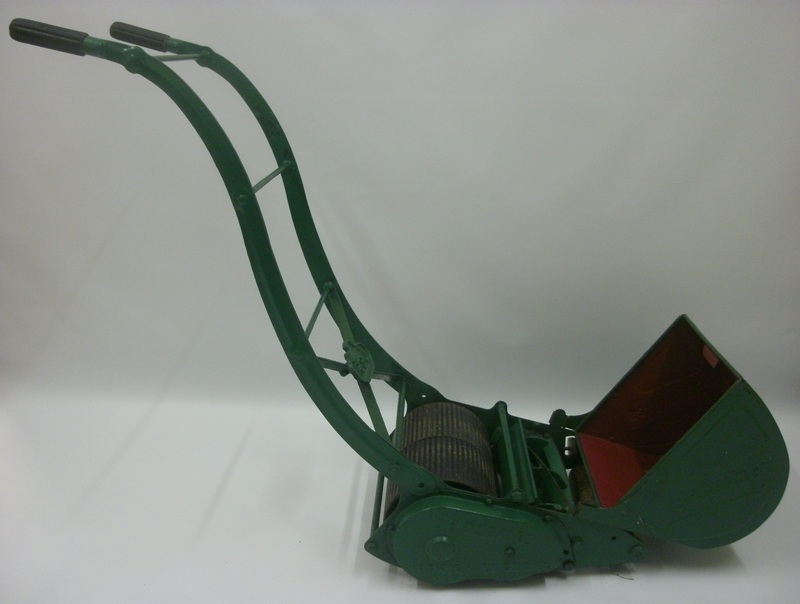 You can discover more about Ransomes in the Bone Building and the How Does Your Garden Grow display, where you can find this Ransomes lawnmower.